Clicker training involves no force whatsoever, and dog training for many years has been dominated by force based trainers. It takes a while to convince people that a hands-off approach works as well and even better than an old style. Clicker training was first used with animals other than dogs, and it was quickly found that a click (a sound of any type whether it is an actual clicker or a click from a pen, bottle top, etc.) was very efficient in teaching an animal in a quick manner when the behavior was correct. This is what clicker training is all about: teaching the animal the exact moment its behavior is correct. The clicker is a secondary reinforcer for a dog because it becomes the signal for reward/food. It always ends a behavior, and the dog knows that it means reward will follow which is why clickers are used to help form new behaviors in dogs. If you’re not sure that you’ve seen clicker training in work, I bet you have and perhaps didn’t realize it. 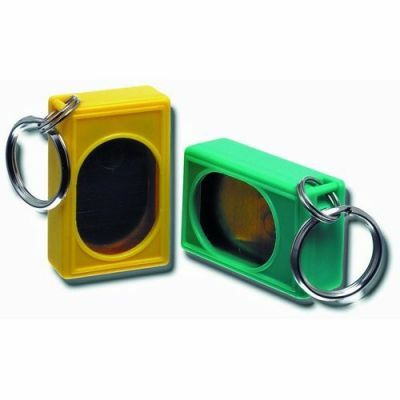 Wild animals are taught using this method only most trainers and zoo keepers use a whistle instead of a clicker. For example, in a sea mammal show, the trainer blows the whistle when the animal has performed the right behavior and then tosses a fish. This is the only way to teach a wild animal. You simply can’t force a killer whale to do anything! How Do You Start Clicker Training? 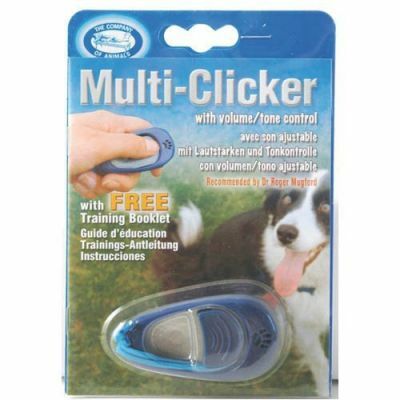 The first thing you have to do is pair up the concept of the clicker with food for your dog. This is referred to as loading or charging the clicker. This process is actually a fairly fast one where the dog catches on quickly. You’ll need some tiny treats your dog loves. Then, you simply click; give your dog a treat. You needn’t have the dog do anything specific at this point other than just click and treat. Most dogs catch on after about 10 repetitions that the click is kind of a neat thing. Now you’re ready to start applying it to a dog’s skills. I think the two easiest things to first teach a dog with a clicker are Watch Me and Touch or targeting. Watch Me is asking your dog to give you eye contact on command, and there are a lot of opportunities to reward this behavior. I like to teach a Touch/targeting using one’s hand. 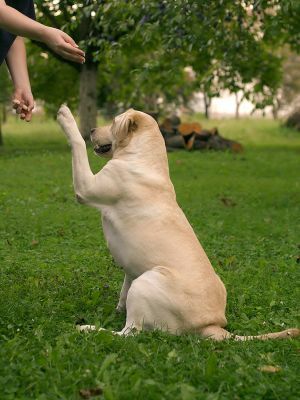 The dog simply needs to touch your hand with his nose which many dogs do on their own or can be accomplished by rubbing your hand with the treat to scent it. Both of these skills are very easy for a dog to pick up, and they are an easy way for the dog to first learn how a clicker works on something simple. The objective is to time your click with the exact moment the dog has accomplished the behavior, so that means that when you receive eye contact or the dog touches your hand, you click, then reward. This click helps the dog to more clearly understand what he is doing to receive the reward. This lessens learning frustration for all dogs, and it generally requires fewer repetitions for a dog to clearly understand how to do something. The clicker also really, really helps with training issues like delayed gratification. Many people when they first start training their dog have a bad habit of not having treats readily available to reward the dog. So, while the person understands what is being rewarded, often the dog doesn’t because he has already moved on. This is why there is a whole class of dogs that seem to ‘not be trainable.’ It’s just they don’t know how to get the reward or they think they are doing the right thing (How many times have you seen a dog do a skill but be rewarded for something else entirely because the person wasn’t ready to reward?). Clicker training is really making its way into various avenues of dog training, and it can be applied to just about anything. I’ve heard of police K-9 trainers incorporating it into aspects of training, and I’ve known plenty of people to apply it to agility work and obedience. I even heard of one individual using it for his bird dog to teach him how to correctly point. Keep in mind that clicker training is used for NEW skills. This means that once your dog reliably (80%) of the time understands the concept (i.e. you say Sit, and he sits), you move onto to just praise rather than a click. Now, clicker training is valuable in a couple of other areas beyond just teaching the new skills. I have a dog that is not terribly confident, and I retained this for him longer than normal and in new locations so that he did remember that he knew how to do it. It really helped with his overall self esteem and confidence. Additionally, clickers are extremely valuable in breaking down a very complex behavior into smaller parts. Then you gradually increase the criteria for the click and reward so that the dog gradually progresses towards the end goal. There are lots of ways to use this, but the one I personally think of is with service dogs. This is used for teaching all of the complex behaviors. It is all taught using approximation. 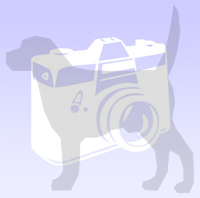 You capture the dog’s behavior at approximations of what you are looking for. For example, if I want to teach a dog to turn on a light switch on a wall, I would first teach a dog how to stand up on a wall. Then, separately, I would show the dog a light switch I could hold in my hand. You can start by clicking the dog for coming to investigate. That moves to touching the light switch, nosing the light switch, and then eventually hitting it up. Once a dog can do one approximation well, you simply move the dog to a harder, more complex level. It just varies how long it takes before you proceed to the next level. Before you know it, you are combining the dog’s turning on of a light switch with getting up on a wall to do so. It’s truly amazing how the clicker works for something like this! Hopefully you see some of the benefits already, but I think one of the main reasons is that it simply makes training your dog easier. It helps alleviate the dog’s frustration, but it helps alleviate your training frustration too! Plus, it really does an excellent job of establishing a way to communicate with your dog.